I would like to take this opportunity to welcome you to The Bully Beat! The Bully Beat is an exciting, cutting-edge, interactive website. The primary goal of The Bully Beat is to focus on bullies and other unfairly maligned breeds. Although these breeds and their challenges are the central core of this website, occasionally, The Bully Beat will feature stories about other dogs and animals. It is the intention of The Bully Beat to inform and provide updates on the plight of animals, anywhere they may be in need. 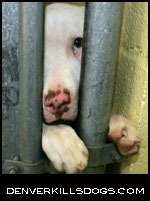 As we know, pit bull breeds have been the most persecuted dog in history. Through knowledge, education and action, we will change that. So much unnecessary suffering takes place in this world. Quotes from the greatest leaders of all time tell us this is NOT the way things are supposed to be. We, as human beings, owe the animals, with whom we share this world, respect and the right to live a life of good quality; one that is pain and cruelty-free. NO ONE HAS THE RIGHT to cause the suffering of any sentient being - simply because they can. NO ONE HAS THE RIGHT to disrupt another’s way of life. As lovers and defenders of animals, we have heard it all, from “It’s just a dog!” to additional comments that show a total lack of understanding and respect for animal rights. I truly believe that those who do not understand the intensity of our feelings require sympathy for they will never know the purest, unconditional love that we are so fortunate to experience. I thank you all for being a part of The Bully Beat and for joining me in this fight. Non-violence leads to the highest ethics, which is the goal of all evolution.